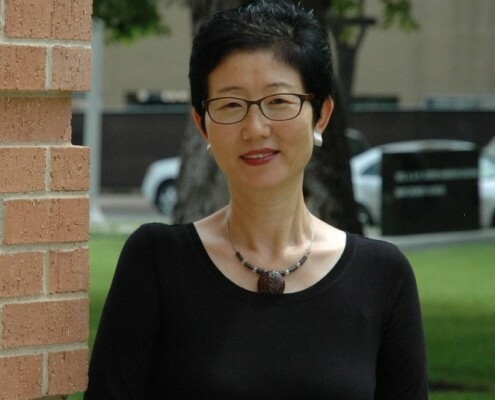 Namsoon Kang, professor of World Christianity and Religions, joined Brite faculty in 2006, having taught previously at the Faculty of Divinity, University of Cambridge, UK and Methodist Theological University, South Korea. She is the author of six books, writing in both English and Korean. Her most recent publications include Diasporic Feminist Theology, Cosmopolitan Theology and Handbook of Theological Education in World Christianity (co-edited). Dr. Kang teaches, researches, and writes from interdisciplinary spaces, and her particular theoretical interests are in discourses of apophatic theology/philosophy, deconstruction, postmodernism, postcolonialism, feminism, and diaspora. Her writing on cosmopolitan theology engages recent theories of cosmopolitan rights, justice, and hospitality. Dr. Kang has been actively involved in various international ecumenical organizations and programs, and was a plenary speaker at the WCC 9th Assembly in Porto Alegre, Brazil in 2006. Cosmopolitan Theology: Reconstituting Planetary Hospitality, Neighbor-Love, and Solidarity in an Uneven World (Chalice 2013). Diasporic Feminist Theology: Asia and Theopolitical Imagination (Fortress 2014).